Welcome to the Gur Lab! Our laboratory seeks to understand the contribution of maternal mental illness to the development of psychiatric outcomes in the offspring. We use an interdisciplinary approach to address the mechanisms through which the intrauterine environment contributes to psychiatric illness, including molecular, biochemical, and behavioral methods. Our recent findings demonstrating that prenatal stress alters maternal and female offspring behavior and microbiome can be found in Brain, Behavior, and Immunity. What is the effect of prenatal stress on the microbiome of the mother and her offspring? What is the behavioral consequence of exposure to prenatal stress? 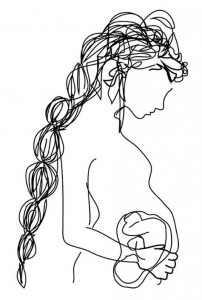 What is the effect of prenatal stress on preterm birth? We are proud to be part of an interdisciplinary team of investigators at the Institute for Behavioral Medicine Research at The Ohio State University Wexner Medical Center in Columbus, Ohio.